ISO14443A mifare encoder reads and writes sectors of mifare 1k and 4K, mifare classic cards, tags, wristbands etc..
Mifare desktop reader / writer are smart modules without touching based on international standard agreement ISO14443A, is equipped with high capability chip, processor, security and electric monitor. The encoder can communicate with PC by means of USB or RS232 interface. It is of high capability, anti-jamming, small size and good quality, which brings more convenience. 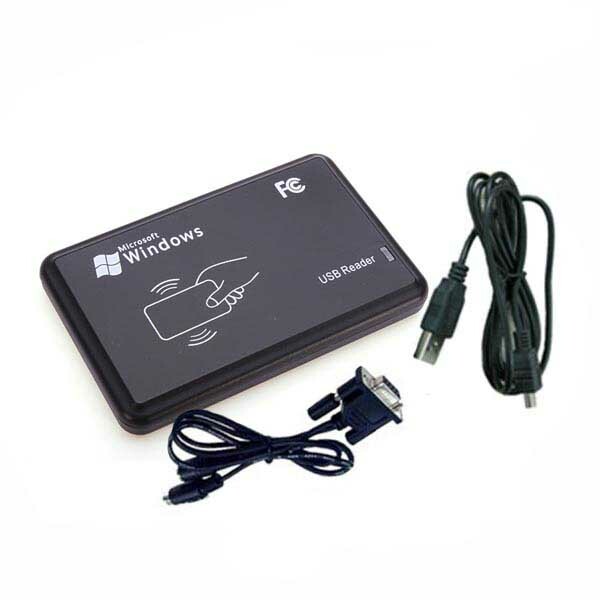 * All our mifare reader/writer comes with the free SDK and software for encoding cards or custom software development. And comes with either USB or RS232 cable depending on the interface option selected above.